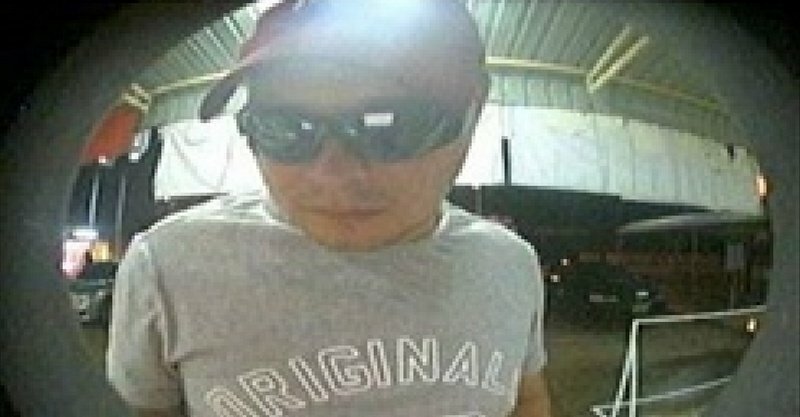 PHUKET: A passport provided in order to rent a white Fortuner SUV from a tour company in Phuket’s Rawai area has provided police with a key suspect in the manhunt for the gang who robbed B12 million from hacked Government Savings Bank (GSB) ATMs in July. 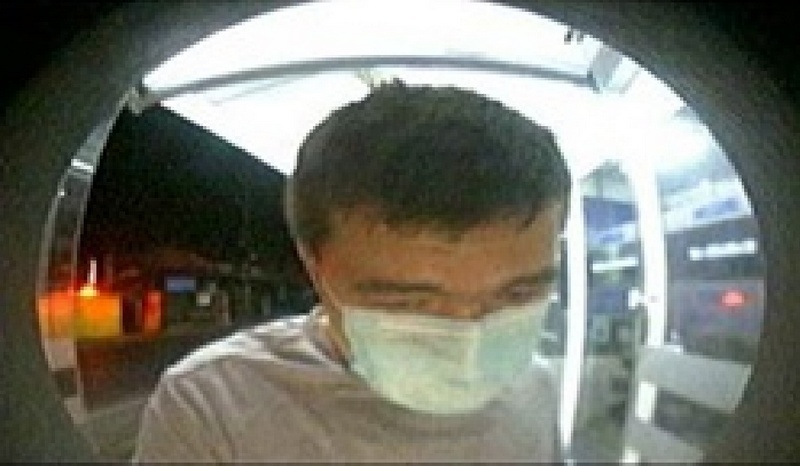 Police are hunting for Russian national Rustam Shambasov as a key suspect. 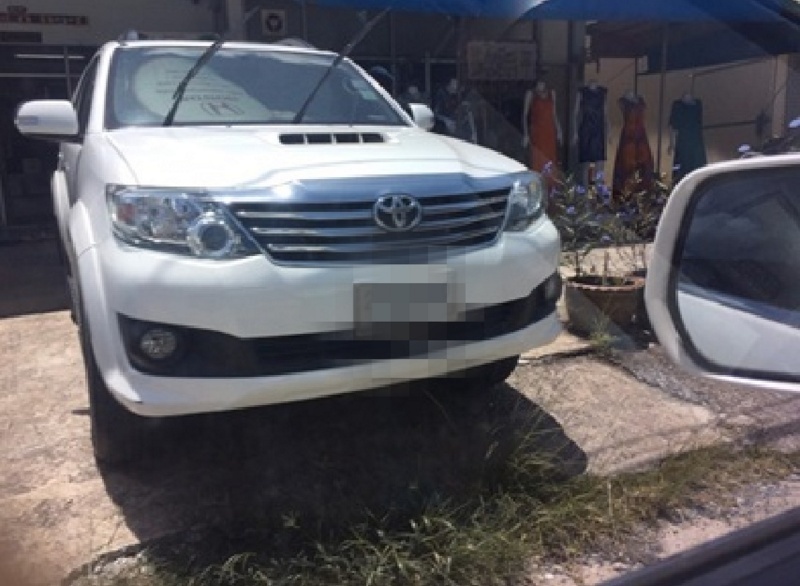 A white Fortuner rented in Rawai is believed to have been used in carrying out the B12 million heist. 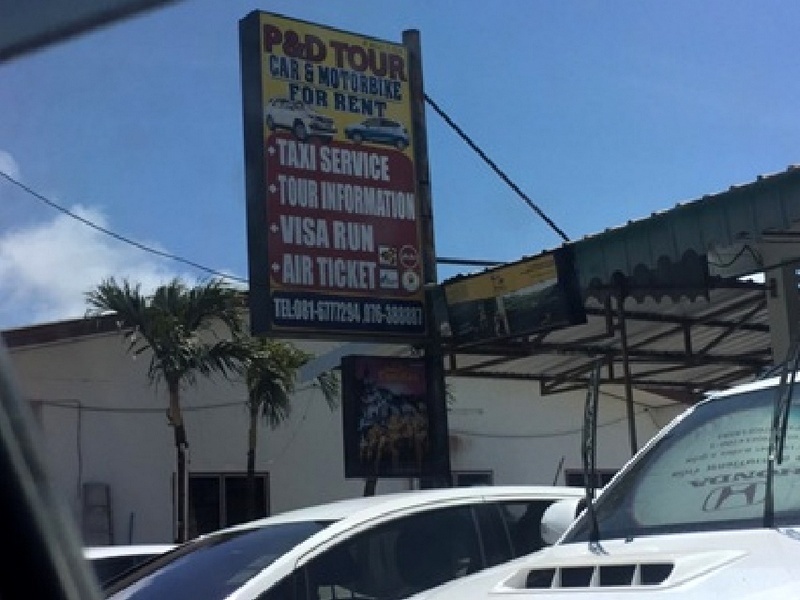 The white Fortuner was rented from P&D Tour in Rawai. The suspects were caught on ATM CCTV making the hacked withdrawals. 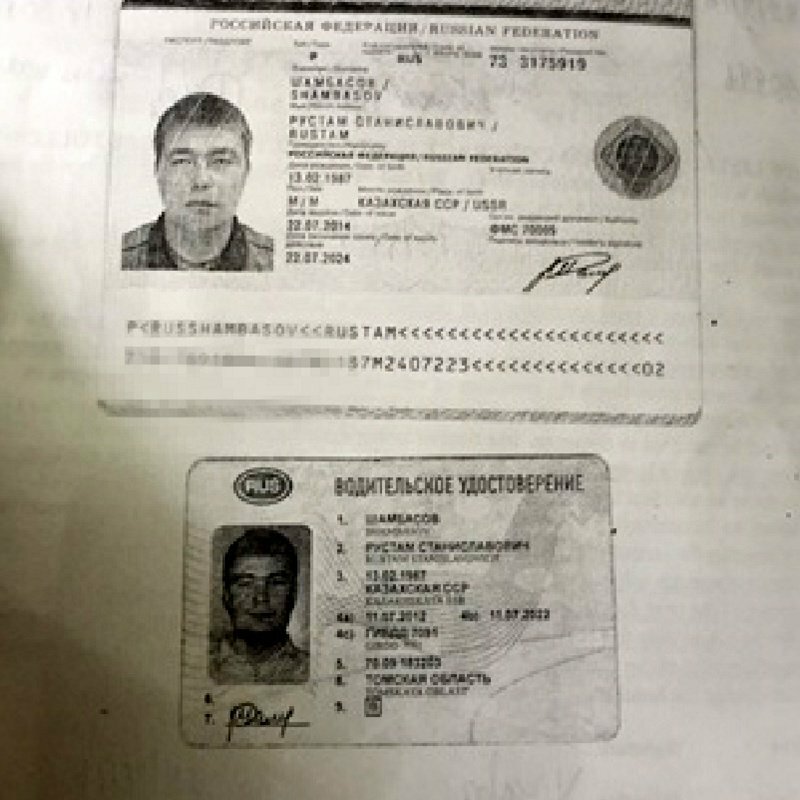 The passport names Rustam Shambasov as renting a white Fortuner from P&D Tour in Saiyuan, Rawai, Phuket, from July 25-28, said Pol Gen Panya Mamen, a national level Advisor (Level 10) for the Royal Thai Police who is leading the investigation into the ATM heist. Gen Panya, a former Commander of Region 8 Police, was in Phuket yesterday (Aug 28) to inspect two of the five ATMs on the island that were hacked and robbed by the gang. 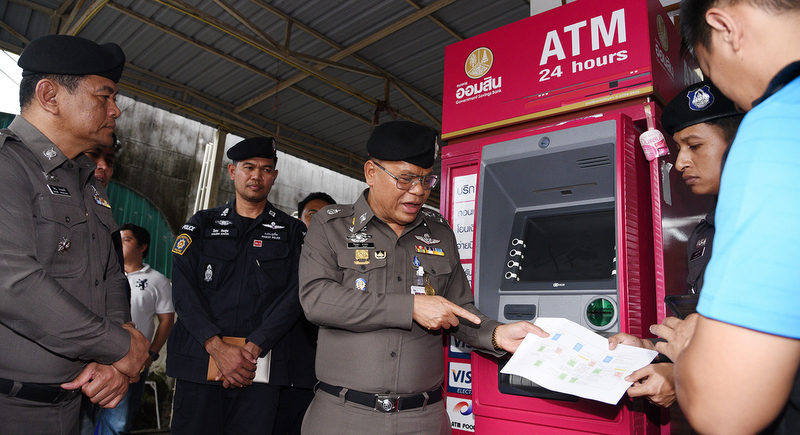 The vehicle rented from Rawai has been identified as used in conducting a spate of withdrawals from the five GSB ATMs in Phuket, Gen Panya said. “The gang stole about B1 million from ATMs in Phuket and we believe the car used was rented in Phuket,” he added. Police believe two teams were involved, with one team installing the malware into the targeted ATMs and a second team to make the withdrawals. “Our investigation leads us to believe there are two sets of suspects. One used the white Fortuner from July 27 onwards to withdraw money from ATMs by using a card issued in the UK. The suspects inserted the card and then pressed ‘Cancel’ to trigger the ATMs to dispense cash,” he said. “They did this with five of Government Savings Bank ATMs in Phuket. The last one was robbed near Phuket International Airport at 1am on July 28,” he added. A second team of suspects used a white Toyota Vios, Gen Panya noted. “We believe they travelled from Phuket on July 31 and at about around midnight on August 1 made withdrawals from four ATMs in Surat Thani. After that, they moved on to make withdrawals from ATMs in Chumphon, Prachuap Khiri Khan and Phetchaburi, then returned to Phuket,” Gen Panya explained. “We have sketches of the suspects,” Gen Panya said. In Phuket yesterday, Gen Panya inspected two of the hacked ATMs in Phuket: one at J&P Supermart in Mai Khao, Thalang, where B240,000 was withdrawn at 11:16pm on July 27; and another at the CP Fresh Mart on Sakdidet Rd south of Phuket Town. The amount stolen from the ATM on Sakdidet Rd and the date and time of the theft was not disclosed. In a document detailing the investigation into the thefts by the “White Fortuner Crew”, police noted that three withdrawals of B280,000 were made from a GSB ATM at the Phuket Provincial Transport Office: at 2:27pm on July 15, at 4:03pm on July 27, and at 00:18am on July 28. The reported listed three withdrawals of B80,000 made from an ATM in front of the Saiyuan Clinic in Rawai, at 8:44pm on July 16, at 11:57pm on July 26, and 1:04am on July 28, and two withdrawals made from an ATM near “Ruangporn Pharmacy”, location not given, at 2:53pm on July 27 and again at 11:29pm that same day. Police believe the “White Fortuner Crew” is also responsible from withdrawing B1.16 million from a hacked ATM in Phetchburi at 5:50am on July 21. “We believe that the suspects are all foreigners and involve not more than 10 people, but we have not discarded the possibility that Thai people helped the gang,” Gen Panya said. “We are continuing our investigation,” Gen Panya said, and called for people to report any suspicious activity at ATMs. 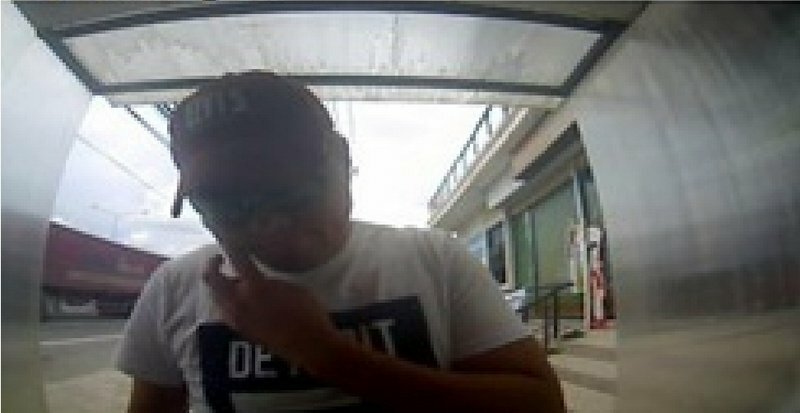 “If anyone sees people suspiciously using ATMs for very long periods of time, please inform us because we never know exactly what they are doing and it might be very unusual,” he said. Reports can be made by calling the police national hotline 191. Why the registration plate of the white Fortuner is blinded on photo? It can contribute of what public have seen, remember and can report to police. I red 6 times about what the police 'believe' including that thai bank staff are not involved.